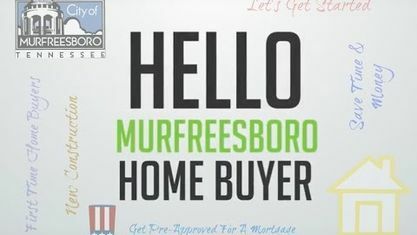 Located off Franklin Road in the highly-rated Blackman School District , the Kingdom Ridge Subdivision is a single-family home development in Murfreesboro TN (Rutherford County). Kingdom Ridge Subdivision properties are located on Agate Drive, Ark Lane, Beryl Drive, Compassion Lane, Conquer Drive, Covenant Boulevard, Pillar Drive, Sapphire Drive and Post Drive. Other Murfreesboro Subdivisions near Kingdom Ridge Subdivision include Barfield Downs Subdivision, Berkshire Subdivision, Blackman Cove Subdivision, Blackman Farm Subdivision, Blackman Oaks Subdivision, Brighton Park Subdivision, Brinkley Cove Subdivision, Cason Grove Subdivision, Evergreen Farms Subdivision, Forest Ridge Subdivision, Green Meadows Subdivision, Hampton Park Subdivision, Hickory Hills Subdivision, Hampton Park Subdivision, Marymont Springs Subdivision, Naturewalk Subdivision, Old South Estates, Parkway East, Puckett Station Subdivision, Retreat at Pinnacle Hills Subdivision, Scottish Glen Subdivision, The Cloister Subdivision, Three Rivers Subdivision, Westlawn Subdivision, Plantation South Subdivision. Schools Of Interest for Kingdom Ridge Subdivision: Overall Creek Elementary School, Rockvale Elementary, Blackman Middle School and Blackman High School. View our selection of available properties in the Kingdom Ridge Subdivision area. Get to know Kingdom Ridge Subdivision better with our featured images and videos.